What an awesome day! 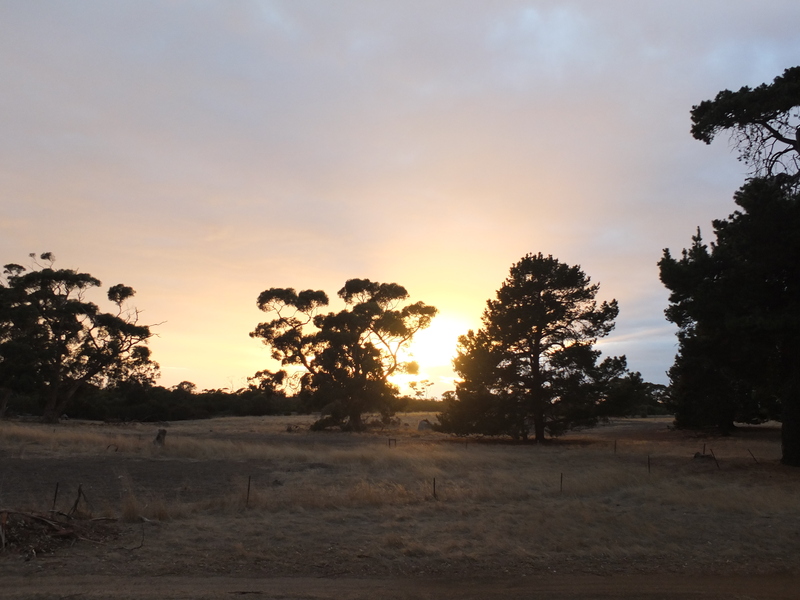 I woke up in splendid isolation at Murrays Lagoon to sunrise to the sound of birds and not much else. After fumbling around for a while I set out towards Seal Bay, with the aim of getting to Vivonne Bay for the evening. 6km of dirt and and a short section of sealed roads, and I made it to Seal Bay Cafe at 11am. 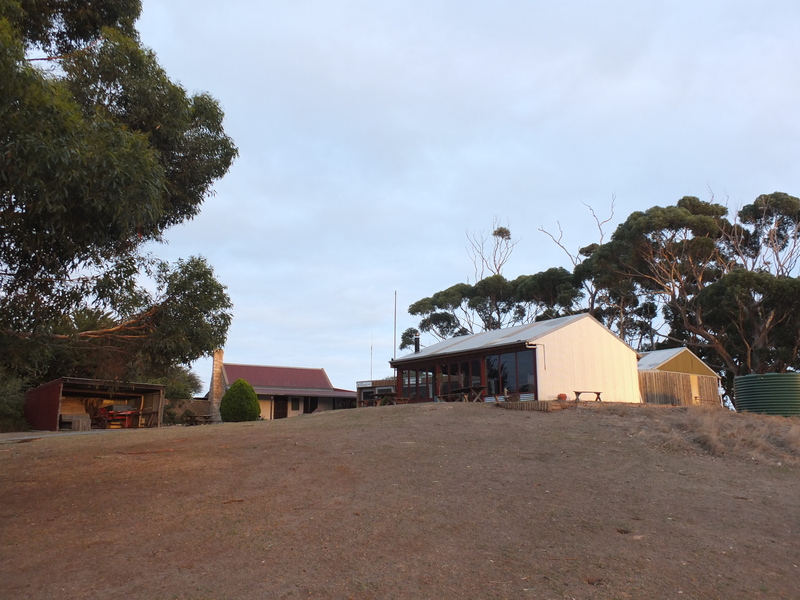 A few hundred meters east of the turn off down to Seal Bay, the cafe is currently being Tyler and Melissa, two Colorado born backpackers who have taken a year off to check out Aus. Tyler and I chatted for a while and I ordered a coffee (soy latte of course) and a bacon and egg surprise. What came out was a massive coffee and a bacon and egg burrito. It was so good I almost ordered a second! After chatting for an hour or so I dumped my panniers and rode down to Seal Bay to check out the Australian Seal Lion Colony. I’d highly recommend doing the paid tour because it was well presented and the sea lions are amazing up close. 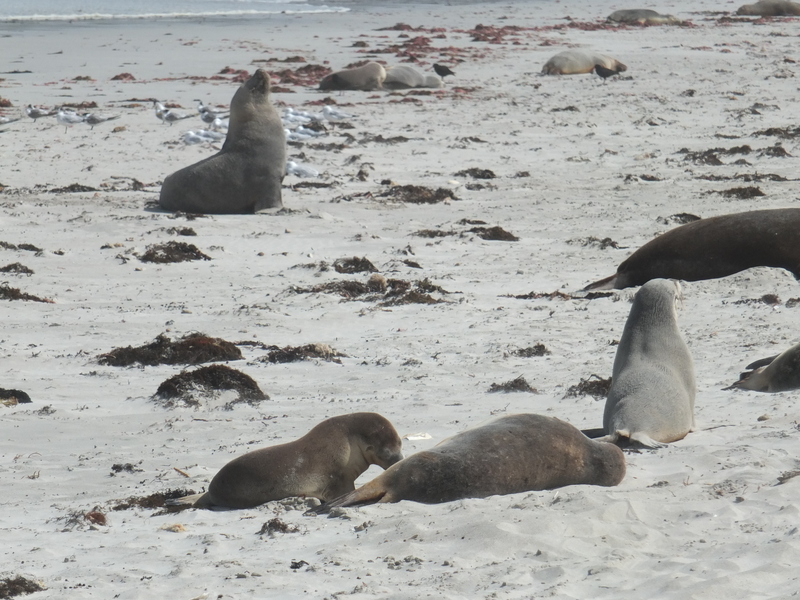 KI Sea Lions on the beach. 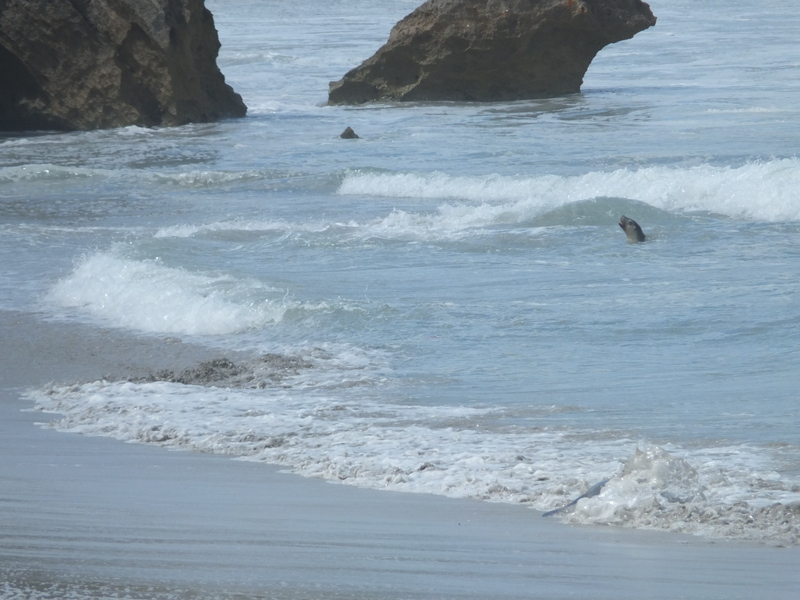 Australian Sea Lions in the surf. 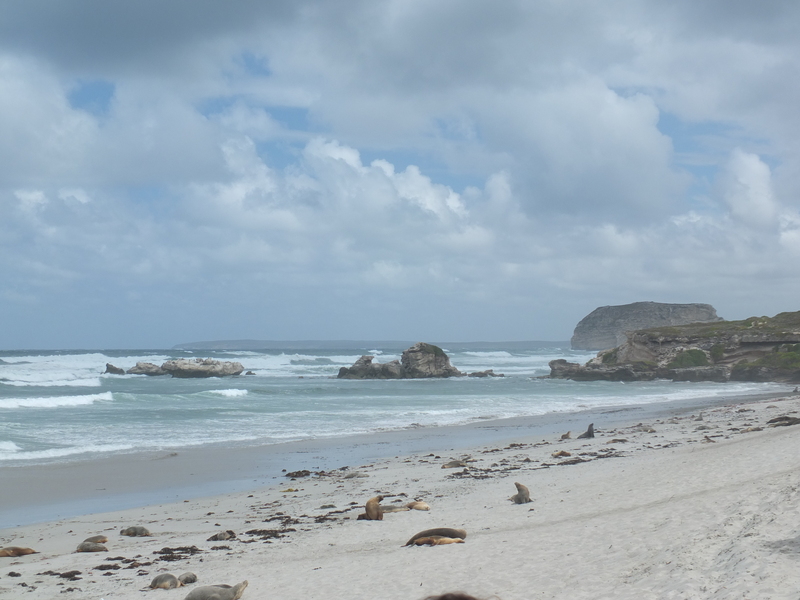 KI Sea Lions up close, with a bull in the background and a mum and pup in the fore ground. Anyway riding back I noticed the wind speed had increased, and in fact was continuing to do so, but without panniers I wasn’t really aware of how much until I got back to the cafe and the winds were gusting at about 45knots. After much to-ing and fro-ing I made the “tough” decision and decided to stay put and enjoy the luxury of the Seal Bay Cafe hostel rooms for the night. As it turns out Tyler and Melissa are both keen cyclists so a night of chatting, great food and relaxing was in store. If anyone is heading towards KI I would seriously recommend staying with these guys! The Seal Bay Cafe. A really easy place to hang out for an afternoon. 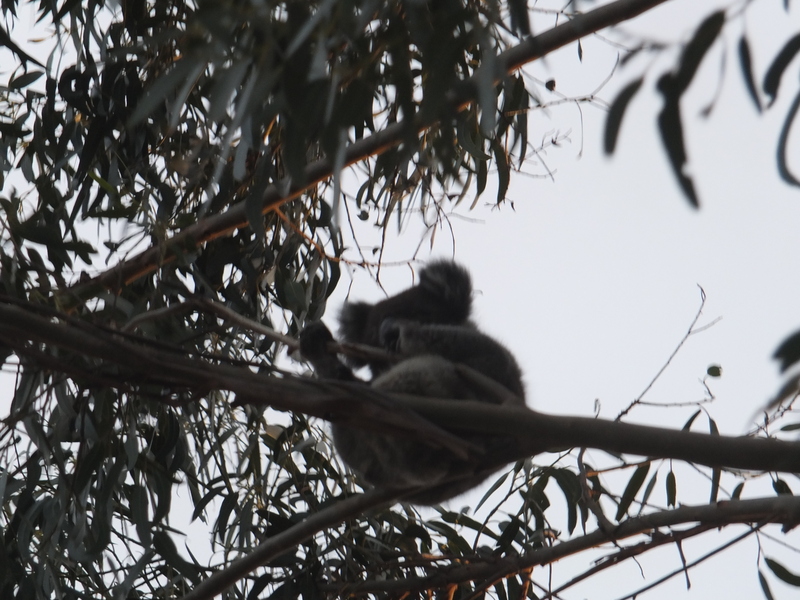 Koala in the tree at the cafe.